Blog Quick Quotes: Grid Technique with Susie! Hello and welcome! Susie hosting the blog today and I am sharing a layout featuring the Winter Bliss collection. I absolutely love creating these grid layouts! It is like pocket pages without the pockets - each 4" square is an opportunity to play! I started with white cardstock and created the grid with 1/8" strips cut from the solid turquoise paper in the collection. 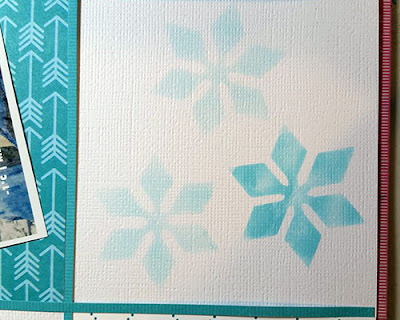 I used different patterns from the collection to create backgrounds in 4 of the squares. 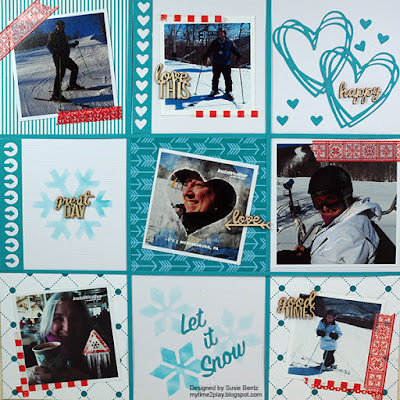 Quick Quotes also sent me some white die cut snowflakes that I actually did not use on this winter page. 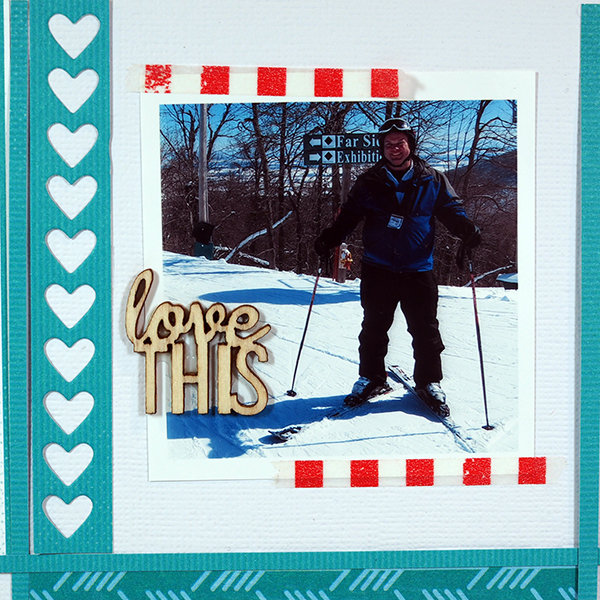 Instead, I used the negative space left behind after I punched out the snowflakes! 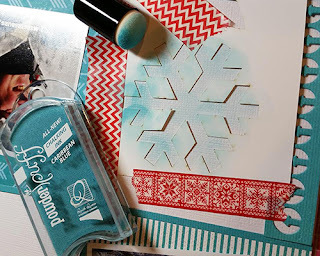 :) I inked through the home made stencil with Caribbean Blue PowderPuff Chalking Ink. 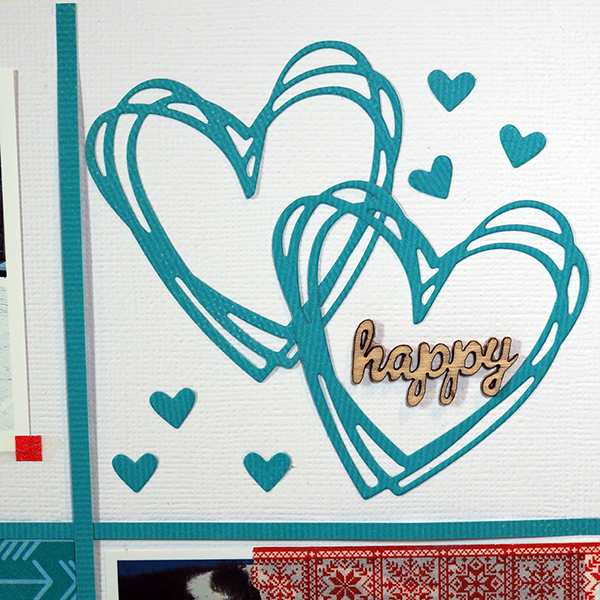 I am also playing along with this month's Quick Quotes Challenge: "Hearts, Any Kind of Heart or Hearts". I encourage you to join in the fun! You can find all the details HERE. 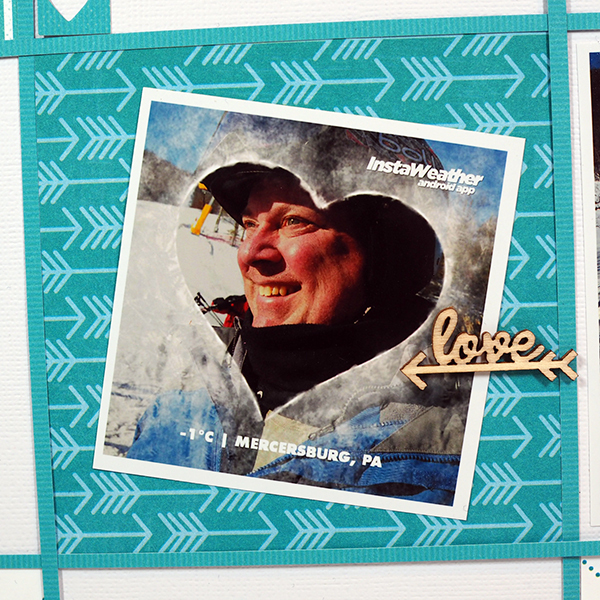 Love your page with all the "mini pages" within it. So many truly clever ideas!! !